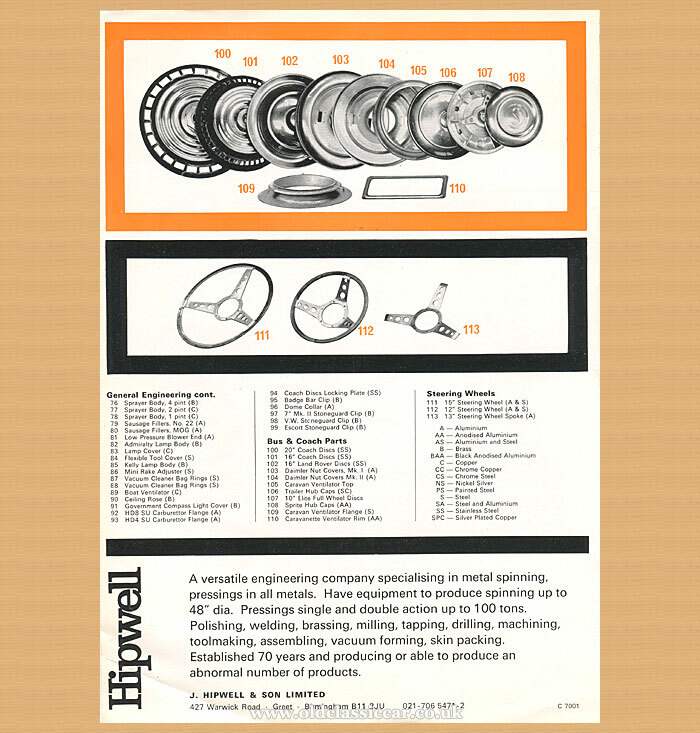 Hipwell motor accessories and fittings. Homepage. 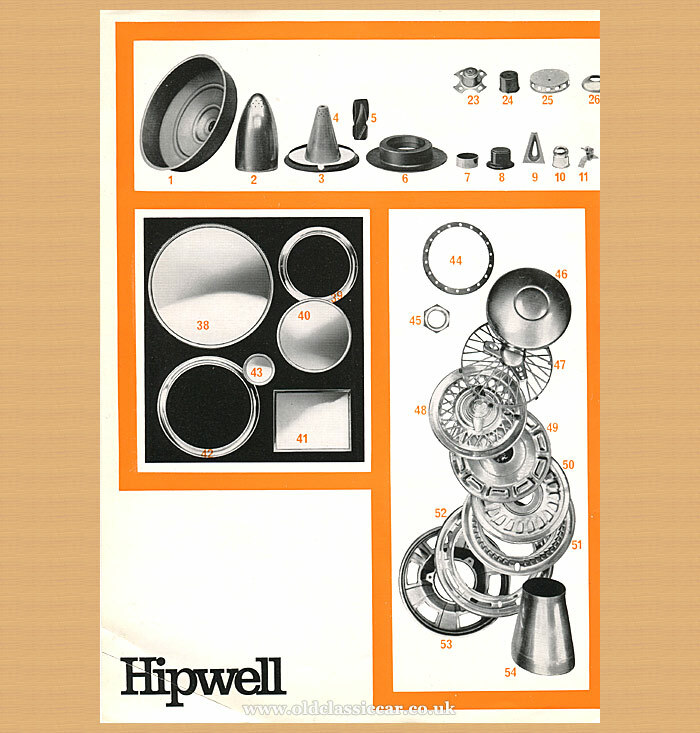 This page: Hipwell car accessories (wheel trims, steering wheels, mirrors etc) leaflet. 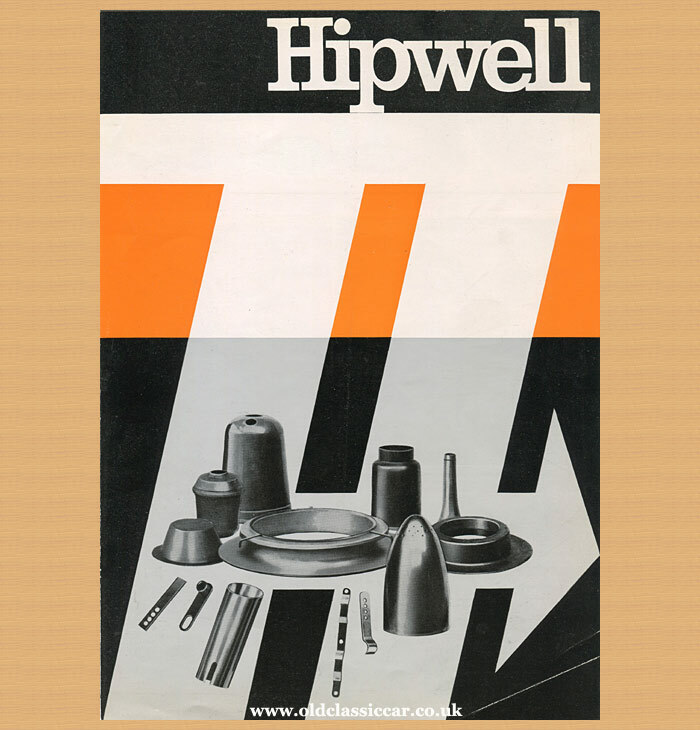 Hipwell car accessories & fittings. 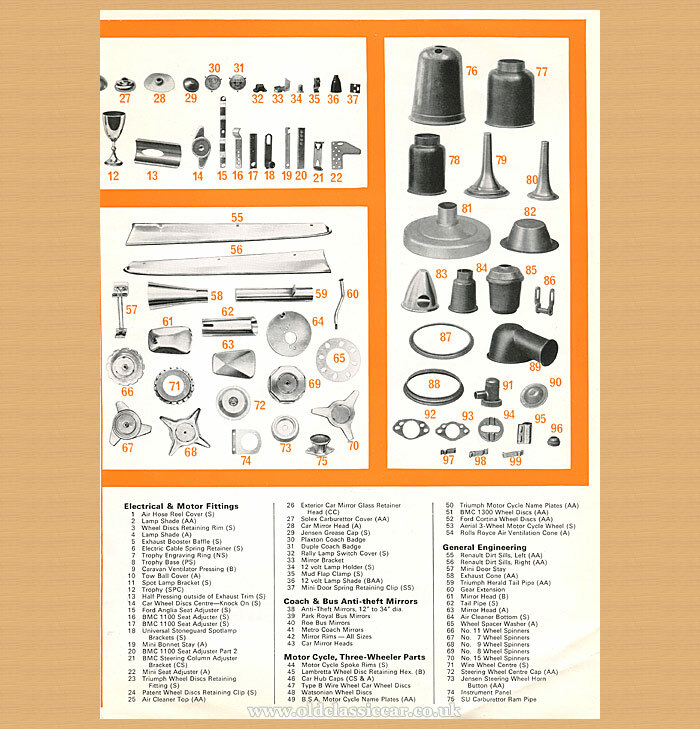 "A versatile engineering company specialising in metal spinning, pressings in all metals. Have equipment to produce spinning up to 48" dia. Pressings single and double action up to 100 tons. Polishing, welding, brassing, milling, tapping, drilling, machining, toolmaking, assembling, vacuum forming, skin packing. Established 70 years and producing or able to produce an abnormal number of products." The rear cover bears illustrations of full-width wheel discs suitable for coaches. Also presented are a couple of steering wheels that Hipwell were able to produce. Happily, the company exists to this day, making similar products to those listed above, many for the classic car market. Also listed on their website are new wheels for Austin J40 pedal cars. Scans of many of the Hipwell/Arden publications from the olden days, can also be found on their site: link. Return to the Motoring Collectables section of the site.